No doubt Dameron brought the tune with him when he joined the Basie band, and Basie is usually credited as co-composer. Opinions as to when “Good Bait” was first performed differ. In his book Swing to Bop: An Oral History of the Transition in Jazz in the 1940s, Ira Gitler quotes Trummy Young as saying that Dameron had written “Good Bait” in the 1930s before he left Ohio. No doubt Dameron brought the tune with him when he joined the Basie band, and Basie is usually credited as co-composer. The earliest recording of “Good Bait” by the Count’s band is from a live performance at the Royal Roost in 1948, the same year that Dameron’s own group with Fats Navarro on trumpet recorded the tune. The Miles Davis/Tadd Dameron Quintet recorded it in Paris in 1949. However, Gillespie is credited with introducing “Good Bait” on record in 1945 (currently available on the compilation CD of Gillespie’s work from 1945). In an online article, Trummy Young: Tain’t What You Do, author Chris Wiley says, “In 1945, Trummy took part in a recording session that included Gillespie. The tunes recorded were ‘Good Bait’ and ‘I Can’t Get Started.’ Trummy was apparently part of the reason ‘Good Bait’ was included; he knew of composer Tadd Dameron as an arranger for Jimmie Lunceford’s band and alerted Dizzy to his work.” In Dizzy: The Life and Times of John Birks Gillespie, Donald L. Maggin lists the additional personnel on this date as Don Byas, Clyde Hart, Oscar Pettiford, and Shelly Manne and credits Dameron for the composition. Kenny Mathieson confirms this information in his book Giant Steps: Bebop and the Creators of Modern Jazz, 1945-1965 and names the independent record label as Manor out of Newark, New Jersey, managed by Irving Berman. Gillespie’s compositions “Salt Peanuts” and “Be-bop” were also recorded during the session. Singer/pianist Nina Simone recorded “Good Bait” as an instrumental on her 1957 debut album, John Coltrane recorded it the following year, and vibraphonists Milt Jackson and Bobby Hutcherson used it as title cuts for albums. It has also been recorded by the nonet Dameronia, formed in 1982 by Philly Joe Jones and Don Sickler to honor the music of Tadd Dameron; by trumpeter Clifford Brown; saxophonists Gerry Mulligan and Jim Pepper; pianists Tommy Flanagan and Andy LaVerne; guitarists Joe Pass and John Pisano; and drummer Max Roach. Recent recordings include those by UK trumpeter Bruce Adams (2000) and saxophonist Joe Lovano (2003). Trumpeter Dizzy Gillespie’s late 1940s big band was packed with great talent and cutting-edge arrangements. Composer/pianist Tadd Dameron’s arrangement of “Good Bait” was part of Gillespie’s program for the band’s appearance at a concert in Pasadena, California, from 1948. It’s a wonderful performance, and the band plays with great elan. Electric trumpeter “Fats” Navarro was stiff competition in the late ‘40s and ‘50s for the likes of Gillespie and Miles Davis. 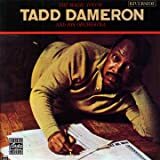 A member of composer Tadd Dameron’s combo in 1947-48, he shines brilliantly on two radio broadcasts of “Good Bait” from 1947. Fine tenor saxophonist Allen Eager contributes solos on both versions. Tenor saxophone master John Coltrane’s version from a 1958 Prestige session is undoubtedly one of the most important recordings of Dameron’s tune. ‘Trane is expertly backed by what is essentially Miles Davis’ 1957 rhythm section: Red Garland (piano); Paul Chambers (bass); and Art Taylor (drums).